“Integrating Green and Gray – Creating Next Generation Infrastructure” is a joint report from the World Bank and the World Resources Institute (WRI) that aims to advance the integration of green and gray infrastructure solutions on the ground. It places a spotlight on the world’s growing infrastructure crisis, driven by climate change and growing populations. It proposes insights, solutions and examples for putting nature to work. It examines the technical, environmental, social and economic dimensions of a typical project assessment but also outlines, with new clarity and detail, the enabling conditions required to facilitate successful implementation of green-gray projects. Harnessing the collective analytical and technical expertise of the World Bank and WRI, it aims to build momentum in both policy and practice. When it comes to tackling some of the world’s biggest challenges, nature can be one of our strongest allies. That is one of the main takeaways from a World Bank and WRI report ‘Integrating Green and Gray – Creating Next Generation Infrastructure.’ The report – which will be released on March 21st, on the eve of World Water Day – shows how putting nature to work can help deliver infrastructure services with greater impact and lower cost, all the while reducing risks from disaster, boosting water security and enhancing climate resilience. “Nature-based solutions were embedded into the design of this project from the very beginning –shifting away from only using traditional ‘hard’ infrastructure towards solutions that work to adapt to natural conditions in the Mekong Delta. 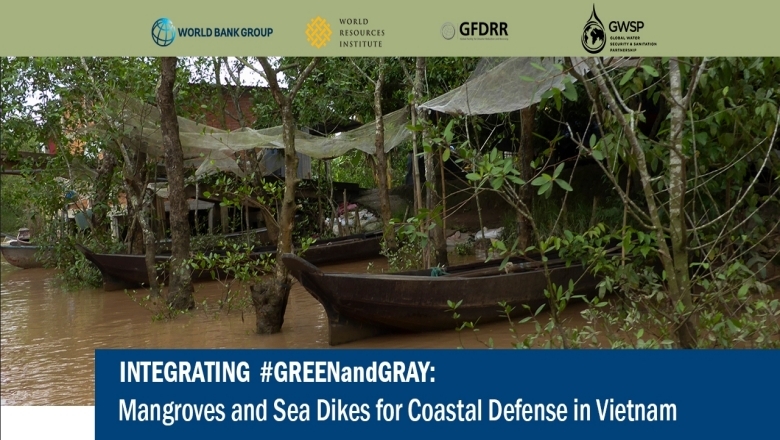 The government of Vietnam is moving strongly towards initiating such climate-resilient projects, that involve combinations of green and grey infrastructure, and corresponding changes in livelihoods. 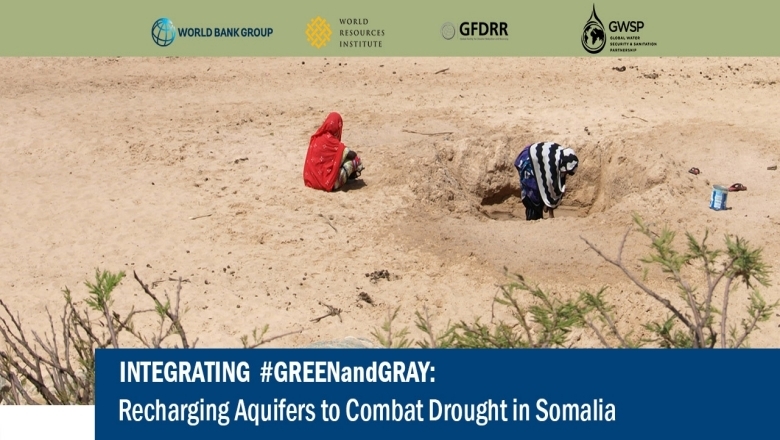 “In Somalia, the Water for Agro-Pastoral Livelihoods Pilot Project illustrates how the use of green solutions can work even in fragile environmental conditions. The project showcases the innovation of sand dams. This is where sand effectively serves as a temporary reservoir cover, protecting the water underneath from evaporating under the sun. This entry was posted in WBG News & Reports and tagged Building with Nature, Climate Resilience, Green & Grey, Nature to Work, Water Security, World Bank Group, WRI by NL4WorldBank. Bookmark the permalink.